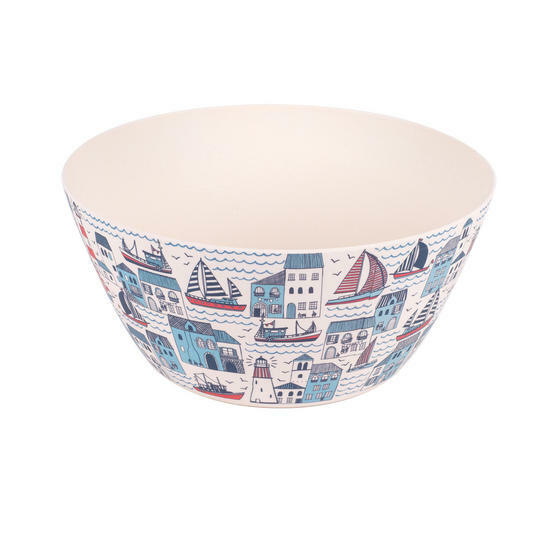 Bring colour to your kitchen with this vibrant bamboo dinnerware from Cambridge, designed to stand out with a Plymouth print. 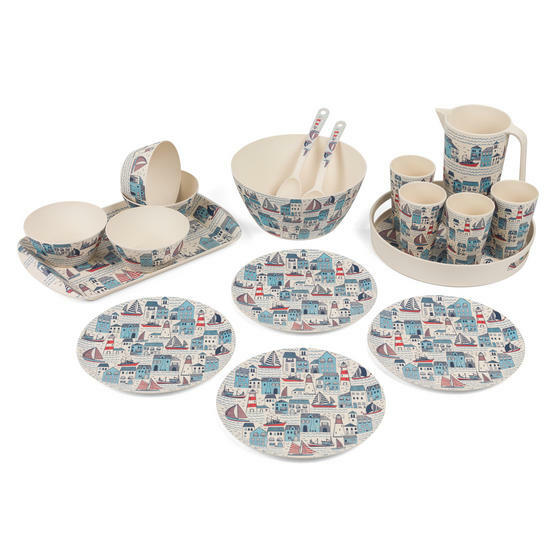 This set is made from bamboo, which has an exceptional strength to weight ratio and a natural durability - a superb alternative to plastic. Dishwasher safe, this set is generously sized and gives you plenty of space for meal portions and accompanying drinks. 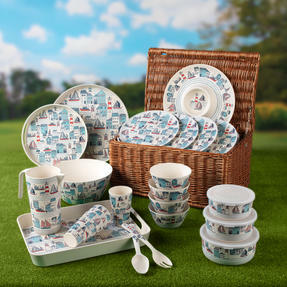 Stylish, strong and practical, the set provides a great eco-friendly option without compromising quality. Made from natural bamboo, this wonderful dinnerware set from Cambridge is an eco-friendly alternative to using plastic. 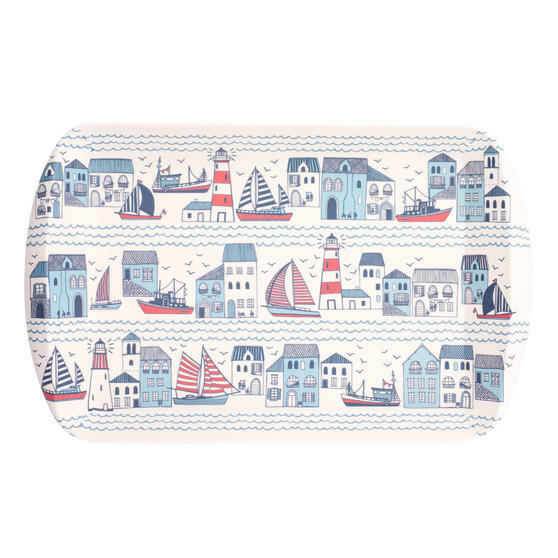 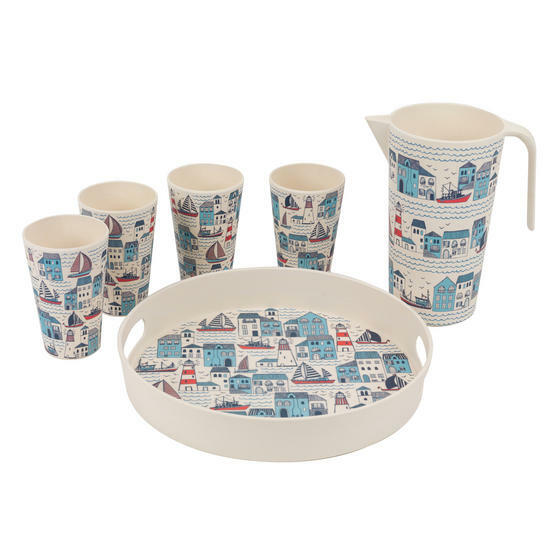 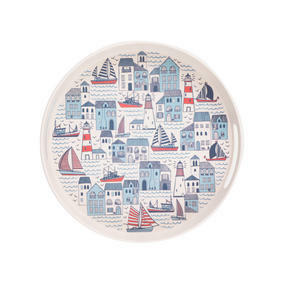 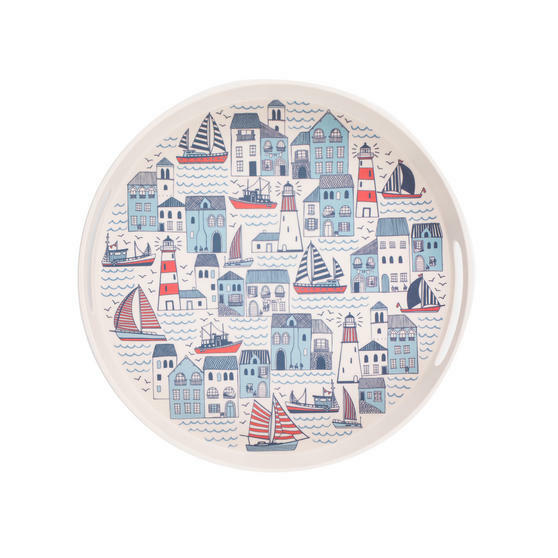 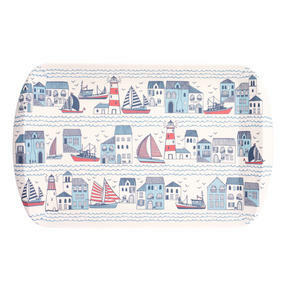 This beautiful set features a chic Plymouth print which has been inspired by the seaside, so it will bring colour to your home. Practical as well as stylish, this set includes bowls, cups, plates, trays, serving utensils, jug and serving bowl. The set is also dishwasher safe ensuring that they maximise convenience while also being eco-friendly and wonderfully stylish.